Length: 3 hrs. 6 min. Why are there so many more professing Christians than churchgoing Christians? Is it because something is wrong with the church? Perhaps that's part of the picture. 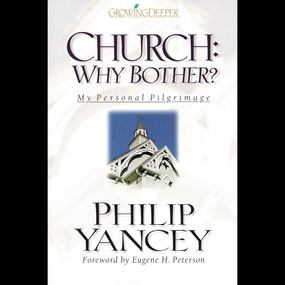 But Philip Yancey insists there is another part. In this candid, thought-provoking account, he reveals the reasons behind his own journey back from skepticism to wholehearted participation in the church, and weighs the church's human failings against its compelling excellencies as the body of Christ.